NRCan has been operating a zero-baseline GNSS calibration site on its premises for the past few months. 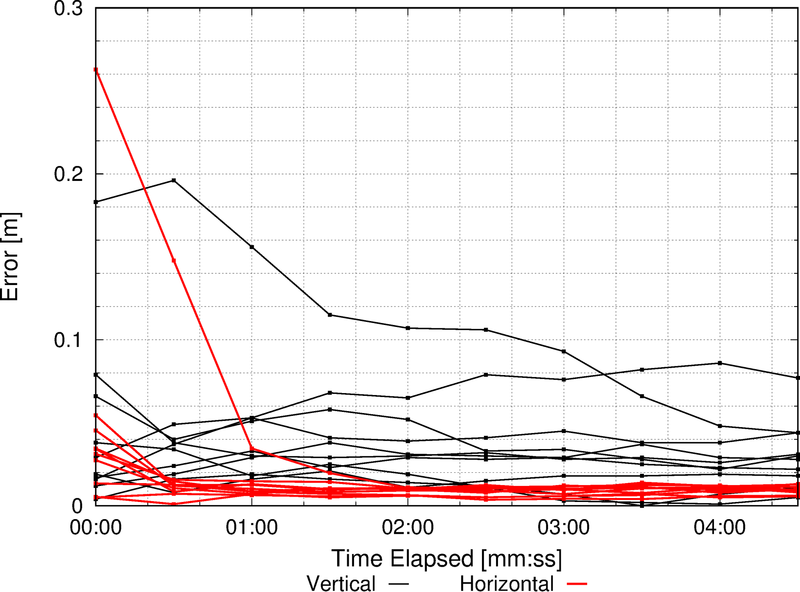 The goal of this investigation is to better quantify the interoperability of different receiver/antenna types. Preliminary results obtained from this exercise were presented at the IGS workshop 2017 last week, and I thought that I would comment further on some of the Galileo results obtained. After implementing Galileo processing capabilities in my PPP software, the next step towards GNSS modernization was the inclusion of BeiDou satellites. The active constellation of BeiDou-2 satellites currently consists of 6 geostationary (GEO), 5 inclined geosynchronous orbit (IGSO) and 4 medium earth orbit (MEO) satellites. While the implementation of Galileo was rather straightforward, including BeiDou turned out to be more of a challenge. With 12 Galileo satellites in orbit, it is about time to jump on the bandwagon and check how those signals can be integrated in a PPP solution. 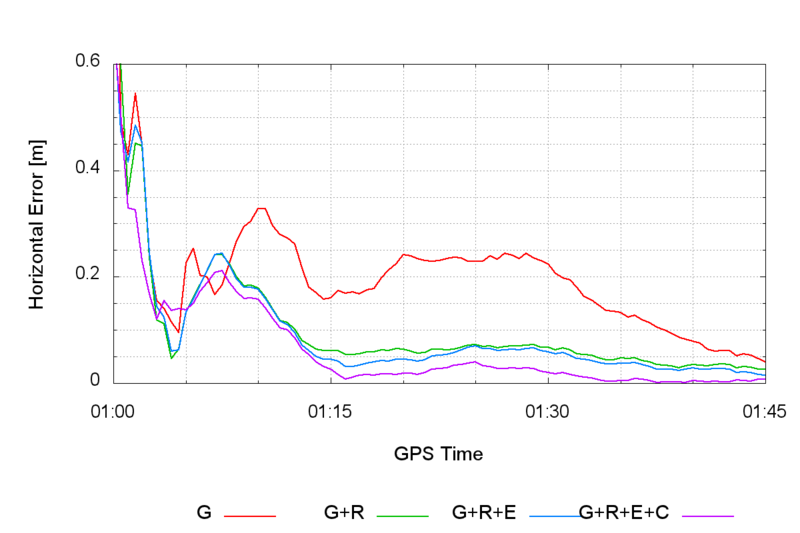 In this post, I focus on the main inputs required for a proper Galileo implementation and show results of my first triple-GNSS processing.